Will Anyone Be Able to Run a Supernode? We call it supernode because it performs more functions than “traditional” network node, and there are different requirements for supernode owners. Yes, Graft network is open and decentralized, and anyone will be able to run a supernode, but there are different levels of supernode and different conditions (and rewards) associated with each level. Proxy Supernode is the “entry level” – everyone can install the supernode software and host Relay supernode. The only requirement is public IP, but this can be achieved even with home network. Proxy supernode does not mine or provide services, but it can be useful for several purposes; for example, as a trusted relay for those who have highest privacy requirements, so they can host their own “wallet server”, or for large merchants as a “store server” for even faster transaction processing. Miner Supernode can generate revenue by earning block rewards. The only requirement (in addition to public IP) is higher computing power required for PoW mining. Miner supernode is the last step before the next and highest level. Full Supernode is both miner and service provider. It cannot perform its instant authorization functions or service brokerage (credit card acceptance, for example) without mining. In addition, performing Full functions requires a stake – collateral balance associated with supernode address. Hence combined PoW/PoS. Miner supernode can mine without a stake but it won’t be able to provide services, i.e. it won’t be able to earn transaction and service fees. Note that Graft miner does not receive transaction or service fees, only block rewards. 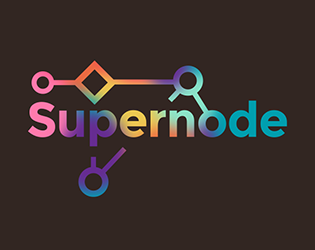 Transaction and service fees are only paid to Full supernode that mines, has a stake, issues instant approvals, and hosts network service brokers. Previous PostPrevious How Graft Zero-Fee Transaction is Possible, and Why Other Cryptocurrency Networks Cannot Afford Free Funds Transfers? Next PostNext In order to process real-time authorization (instant confirmation) Graft network puts a “lock” on buyer’s account. How does it not violate one of the main goals of any cryptocurrency system – untraceability?